For over 40 years, Kawasaki Jet Ski® watercraft have supplied high-powered thrills on the water and the Jet Ski SX-R™ is a continuation of the legacy. 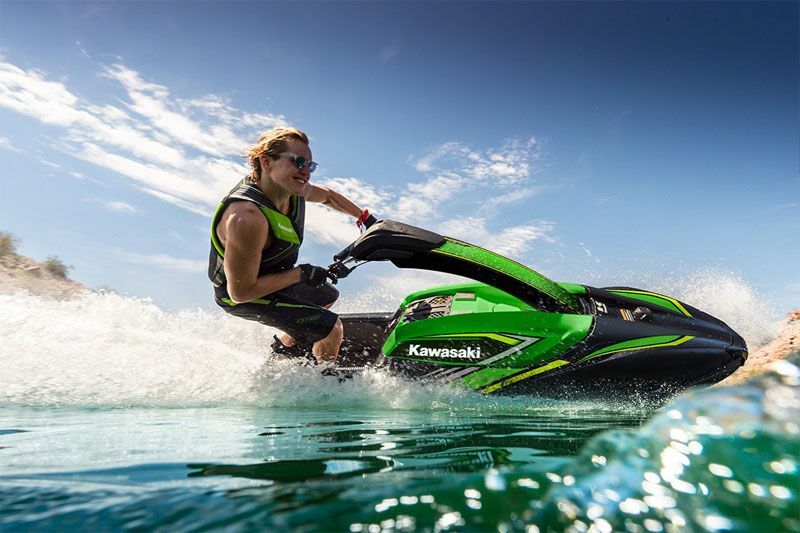 With a broad range of four-stroke power and agile rider-active handling, the Jet Ski SX-R breathes life and excitement into the stand-up category. Offering a wide range of riders an unprecedented riding experience, the Jet Ski SX-R is here and ready to reclaim Kawasaki’s status as the king of stand-up watercraft. PRACTICAL FEATURES: ​Secure your personal items in the small-item storage compartment located beneath the handle pole. 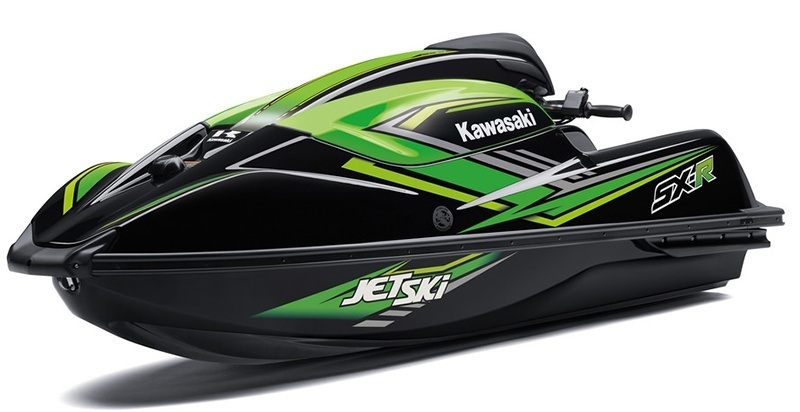 PRACTICAL FEATURES: Convenient low fuel and engine warning lights on the handle pole pad. PRACTICAL FEATURES: Key-operated magnetic ignition switch helps discourage theft. PRACTICAL FEATURES: Bilge drain plugs in the hull can be removed quickly and easily to facilitate after-use draining. 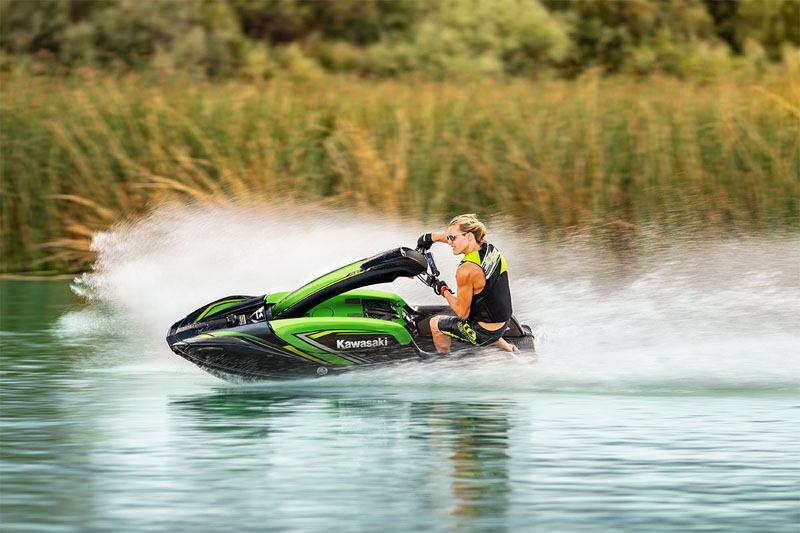 RIDER-ACTIVE HULL: ​​The hull design accommodates a variety of riding styles with its impressive performance and agile handling. V-SHAPE HULL: ​Delivers an ideal combination of performance and agility. LIGHTWEIGHT HULL: ​Contributes to agile turning performance. LARGE DECK: Offers great freedom of movement. 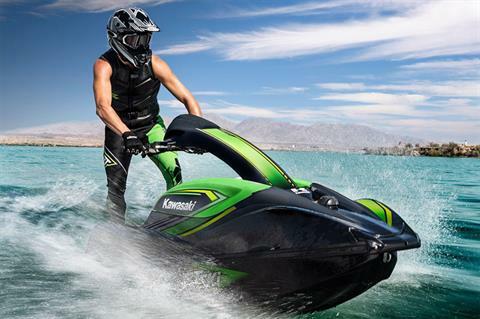 ​KAWASAKI SPLASH DEFLECTOR: ​H​elps reduce water splash. 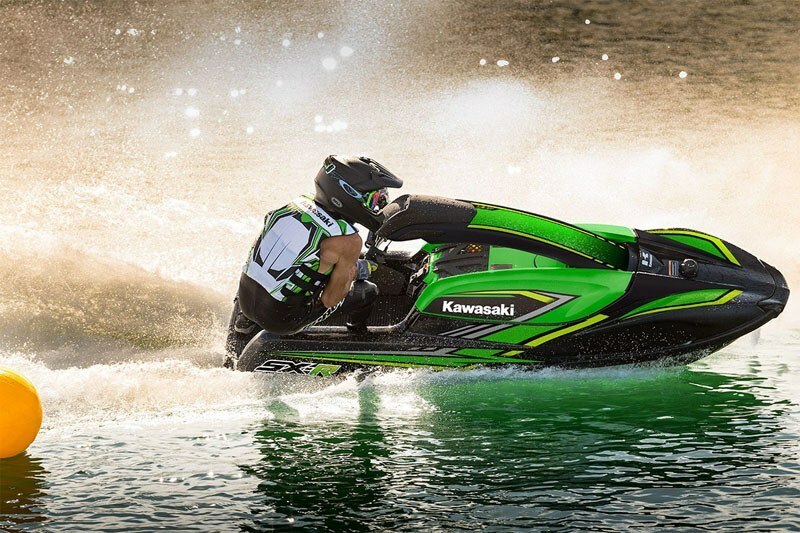 ENGINE & PROPULSION: 1,498cc inline 4-cylinder, 4-stroke engine delivers unprecedented power to weight ratio. ENGINE & PROPULSION: ​Broad torque delivers strong, easy to manage power and excellent off-the-line acceleration. 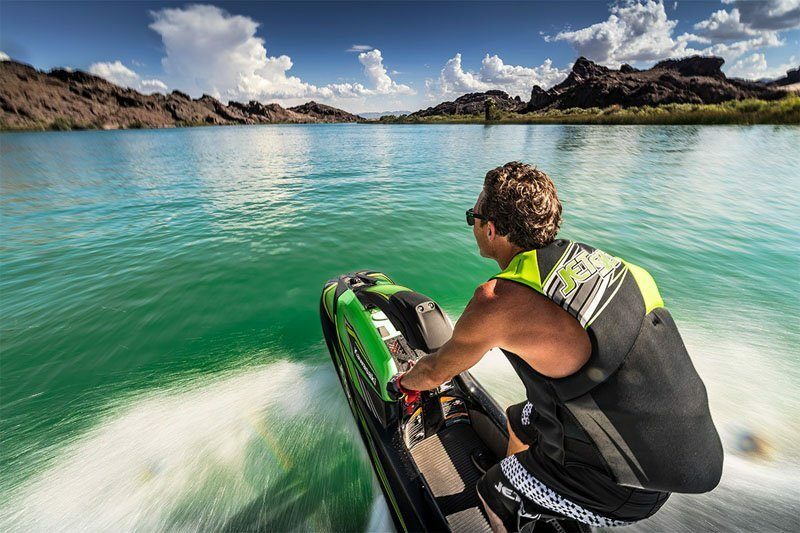 ENGINE & PROPULSION: 3-blade stainless steel impeller and high-efficiency jet pump contribute to low cavitation and powerful acceleration.